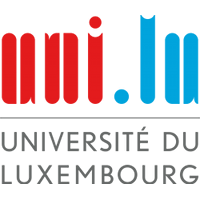 Profile: Early 2009, the University of Luxembourg (UL) created its first interdisciplinary research centre, the Interdisciplinary Centre for Security, Reliability and Trust (SnT) to spearhead one of the University’s priority areas. SnT brings together researchers from partners and the UL faculties to carry out research and PhD education in Security, Reliability and Trust. SnT holds 2 ERC advanced grants and hosts several research groups working in the realm of cyber-security, satellite communications and fault tolerant computing. The Centre aims to achieve high impact and excellence well beyond the academic community by collaborating with external partners such as industries, government bodies, institutions, and international actors. By end of 2017, some 286 people (among which 99 PhD candidates) were active at the Centre. Also, collaborations with European partners play a very important role in SnT development, which is currently being ramped up through a number of new European projects contributing to increase its visibility. To date, SnT participated or actively works in more than 60 European projects funded through: FP7, CIP, H2020, ESA, EDA, etc. Expertise and Role in CONCORDIA: The CONCORDIA project will be conducted in the SEDAN team at SnT of the University of Luxembourg (UL) lead by Dr. hab. Radu State. The newly established SEDAN (SErvices and Data mANagement) research group addresses impact oriented research activities in the areas of data management, data analytics, security and monitoring. More specifically the group is interested on designing architectures, algorithms and approaches in the context of the new challenges given by ever increasing volumes of data, multiple and permanent connectivity and new distributed consensus systems based on blockchain paradigms. SnT will lead Task T4.6 and participate in all WPs contributing architectures, algorithms and approaches in the context of big data, multiple and permanent connectivity and new distributed consensus systems based on blockchain paradigms.